This Famous Author Took 200 Micrograms Of LSD Right Before He Died! It’s remarkable that Aldous Huxley’s death isn’t more widely discussed. Before he died in 1963, Huxley had written 47 books, among which were the famous titles Brave New World and The Doors Of Perception. In Brave New World, his dystopia features the fictitious drug, soma, which is similar to modern day ecstasy. Later in his writing career, Huxley began writing more about psychedelic drugs. By 1954, he was writing non-fiction about his experiences taking mescaline, a hallucinogen synthesized from the peyote cactus. But other than his many literary accomplishments (including several Nobel Prize nominations for literature), Huxley had a very significant and fascinating death. His wife, Laura Huxley, recounted his final hours in a letter, including several amazing things that happened as Huxley exited this world. What you might not know is that he was on a psychedelic trip during his last moments of life. Huxley was diagnosed with laryngeal cancer in the early 1960s. His wife, Laura, had offered Aldous LSD several times in the 2 months preceding his death, thinking that it might help him, but he had refused to take any until his condition got better. 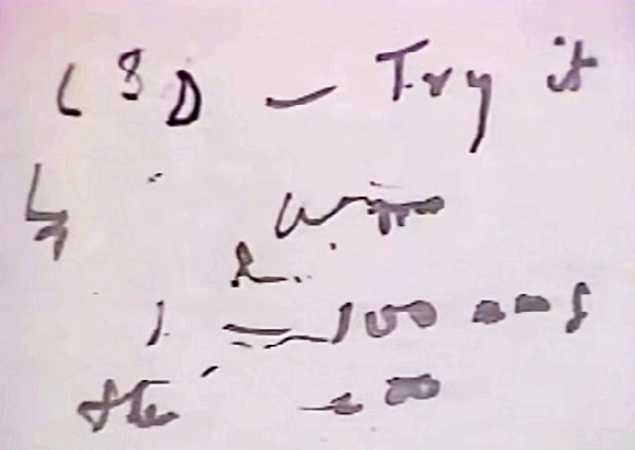 Approaching his final hours, Aldous took a pad of paper and wrote, almost illegibly, for her to try injecting him LSD 100 µg, intramuscular. Laura made sure that his wish truly was for her to inject uncut LSD into his body. He confirmed this with her. He also requested that several people close to him take some of the drug as well, including his son, Matthew. Laura goes on to say, “both doctors and nurse said they had never seen a person in similar physical condition going off so completely without pain and without struggle.” Aldous Huxley died peacefully on November 22nd, 1963 (the same day JFK was assassinated). He died on a different mental plane than he was born into. No matter your feelings on LSD, it’s hard to shake the other-worldly feeling associated with a death like Huxley’s. When a great literary mind dies, you hope that their passing is peaceful. In Huxley’s case, he died the way he lived, exploring the inner worlds contained within the human mind. He took that exploration with him into death.